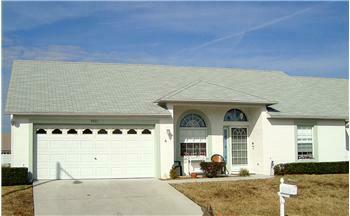 Over 1400 sf includes 2 bedrooms/2 baths, family room (extra addition), and breakfast room with a bay window. 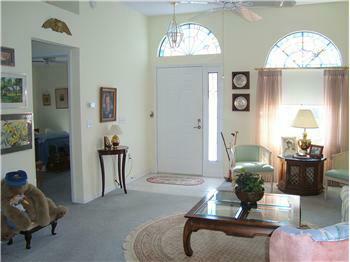 The formal dining room is large enough for entertaining and has an arched opening to living room. The den, which has an added 3 ft. extra, has glass pocket doors.A spacious master bedroom has a walk-in closet.And, the master bath has glass shower doors and a linen closet.Open kitchen with a breakfast room and all appliances stay. Even the stained glass window in the LR stays. Volume ceilings, upgraded bathrooms include tile floors, pulldown ladder to attic. Pets (2 max) allowed. A great place to live and no age restrictions. Come take a look.